The study will test the safety and efficacy of a technique we refer to as therapeutic subclavian artery compression (TSAC). Two-thirds of people who sustain trauma to the upper limb proximal artery die from traumatic blood loss before reaching hospital. 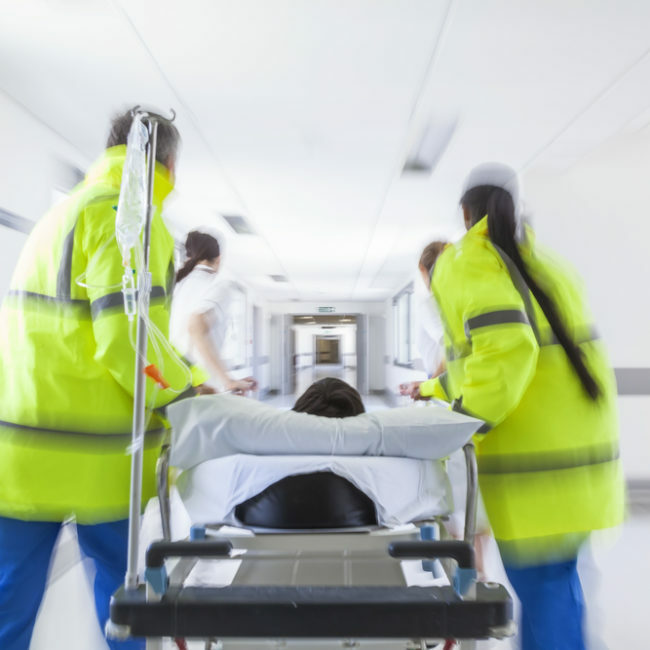 Timely stabilization of the injury, control of bleeding, and rapid transportation to an emergency department could dramatically improve the rate of survival. We know from research that these measures dramatically approval the rate of survival for traumatic injuries of other parts of the body. In this study, we will test the safety and efficacy of a particular procedure that we predict will improve the management of these injuries in the pre-hospital setting. We predict that the use of this procedure by paramedics on patients while in transit can improve patient outcomes. The study will test the safety and efficacy of a technique we refer to as therapeutic subclavian artery compression (TSAC). We argue that this relatively simple procedure may successfully control arterial bleeding in the proximal part of the upper limb, and prevent death from traumatic blood loss. We anticipate that if successful, this technique will allow for safe transfer of patients, who would otherwise have died, to lifesaving definitive vascular surgical treatment.